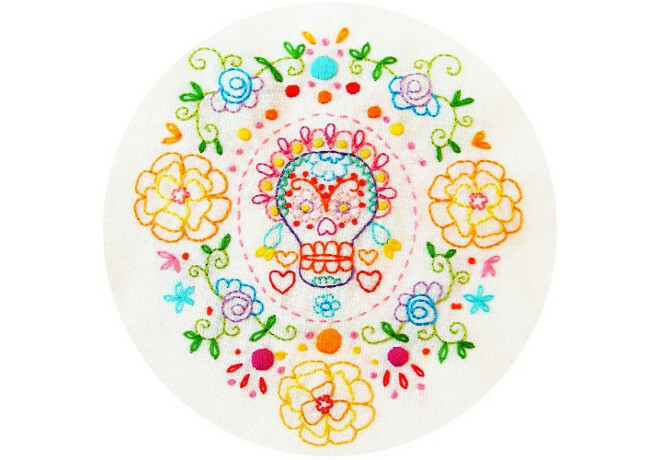 Marigold Sugar Skull is an original embroidery pattern from Polka & Bloom. This pattern is great for Dia de Los Muertos inspired projects. It would also look very lovely framed in an embroidery hoop. The pattern and images are copyright Carina Envoldsen-Harris 2009-10. The pattern is for personal use only. You may not sell the pattern or any items using the pattern.